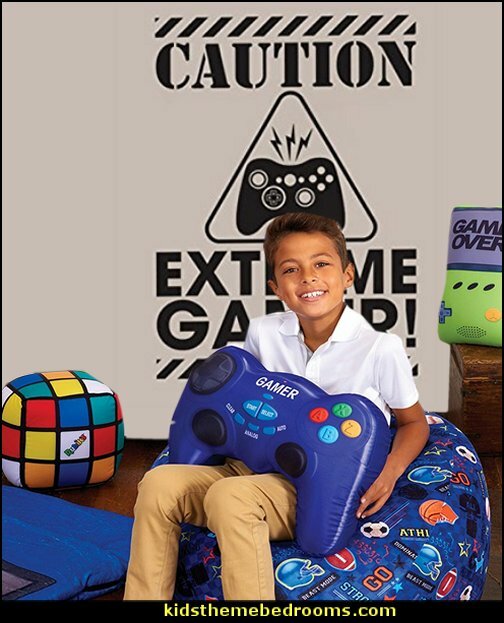 Video games are big business. 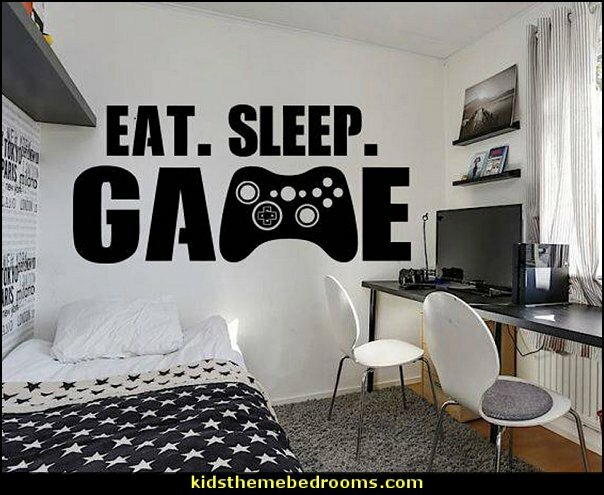 They can be addicting. 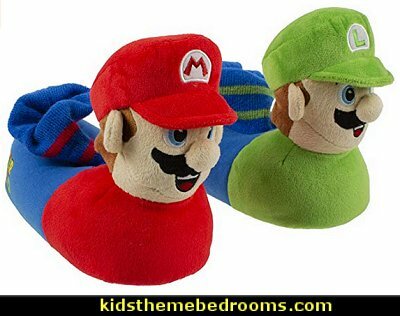 They are available almost anywhere you go and are appealing to people of all ages. 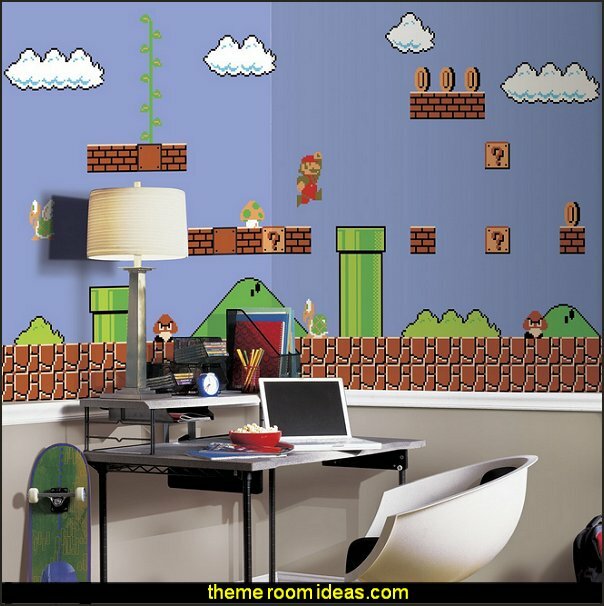 Perfect for any Nintendo, Super Mario, and Mario Bros fan! 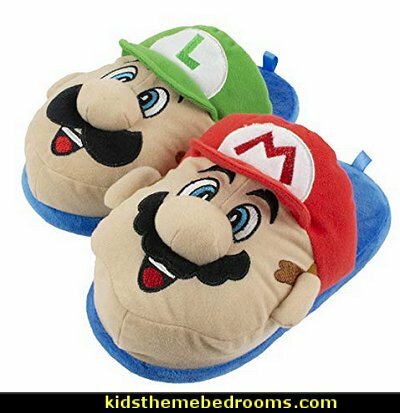 These slippers are comfortable, warm, and fun! 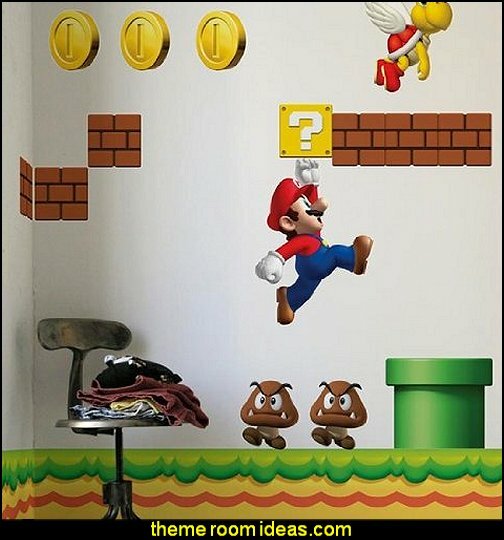 New Super Mario Bros., released in the US in 2006, was published for the Nintendo DS handheld video game console. 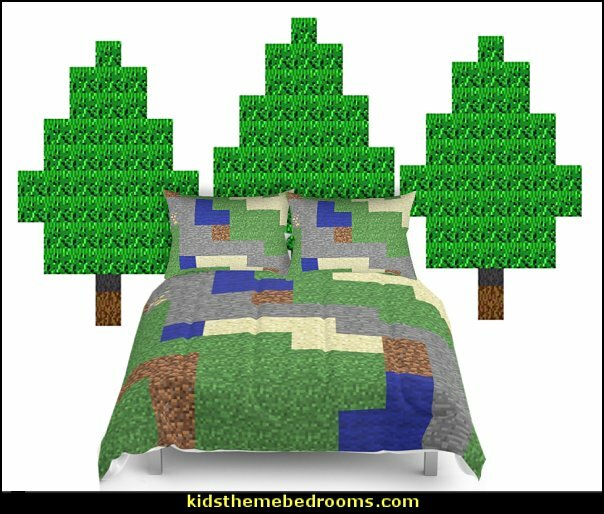 The main characters are 3D with many of the minor characters and objects rendered on 2D backgrounds, creating a 2.5D effect. 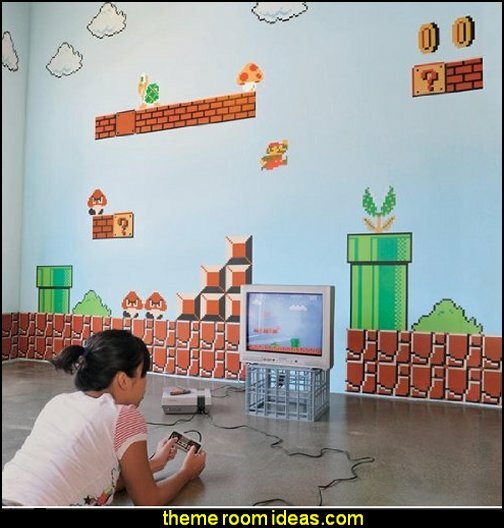 With this, the game returned to the beloved side-scrolling gameplay of the original Super Mario Bros. games. 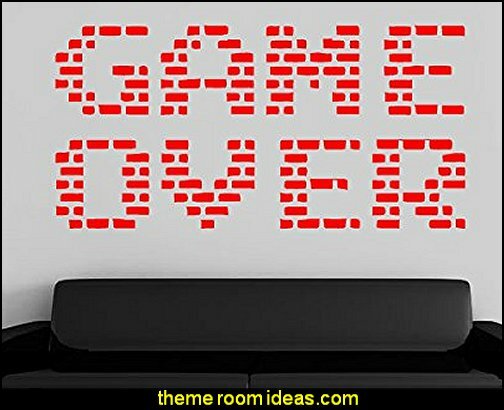 In late 1985, Super Mario Bros., created by the highly revered Shigeru Miyamoto, came to the Nintendo Entertainment System (NES) making a splash by ending the two year slump of video game sales in the US. 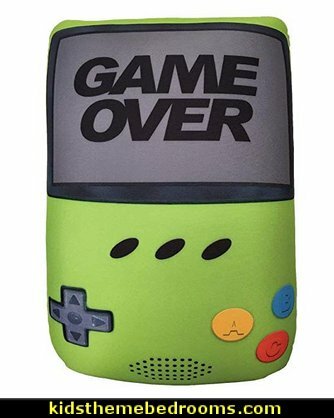 As of 2008, it is the highest selling video game of all time 40 million copies to date. 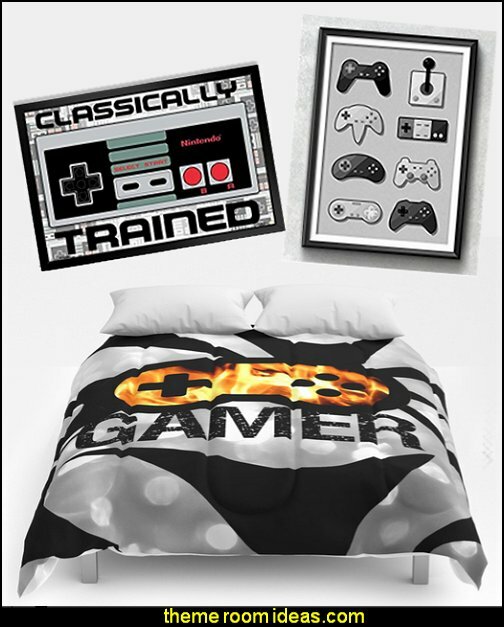 Its theme music is recognized by gamers and non-gamers alike. 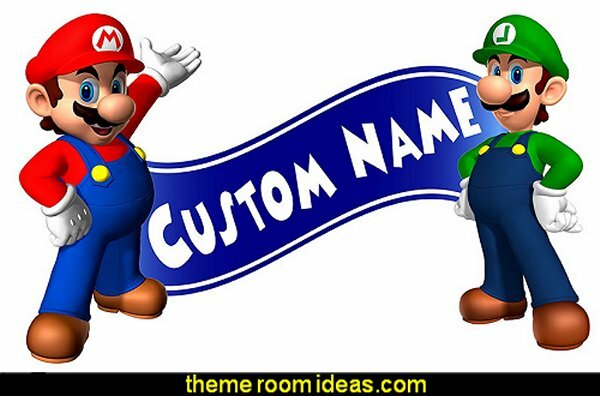 Package includes 3, 26' x 40' sheets of decals. 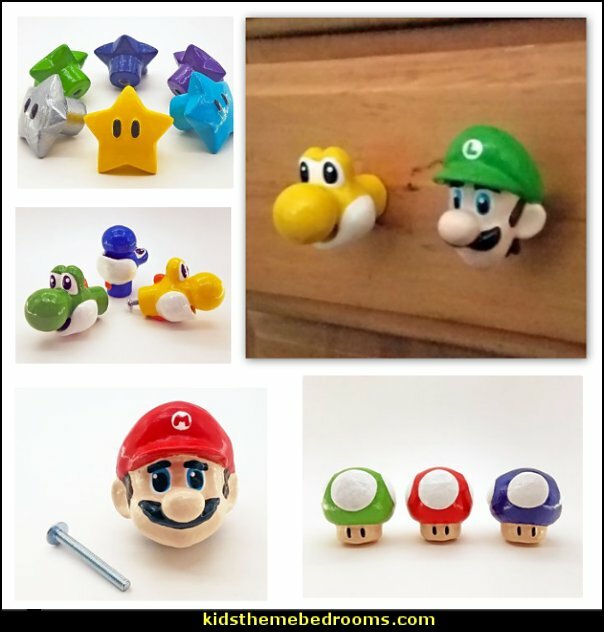 36 total movable and reusable decals/pkg. 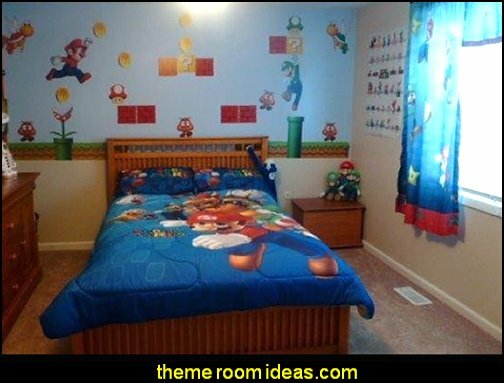 Note: It takes TWO sticker sets to recreate the photo. 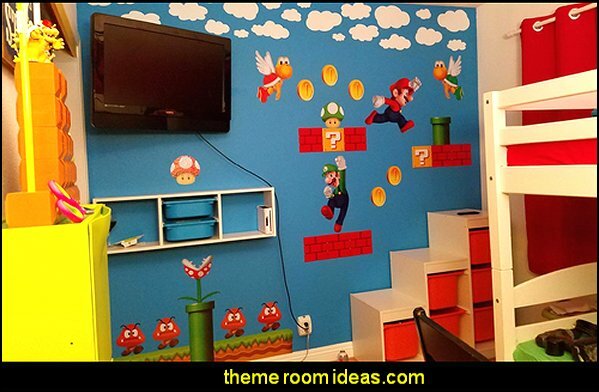 Bring Mario right into your room by re-creating scenes from the game. 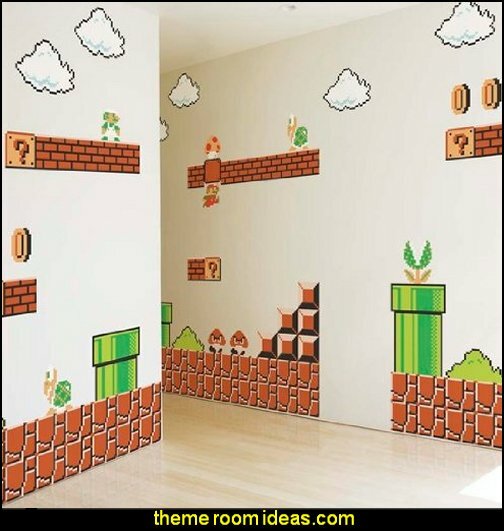 This Retro Super Mario XL Wallpaper Mural is a true blast from the past! 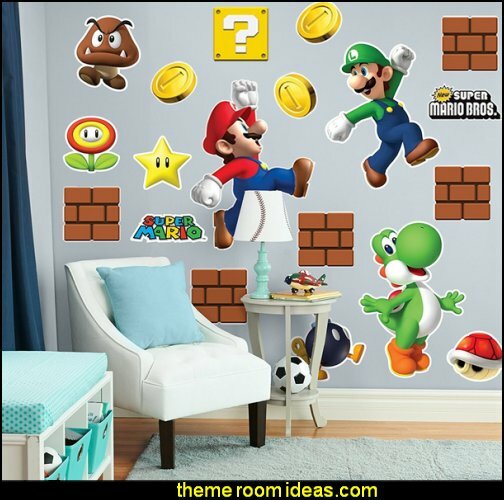 Depicting a classic Mushroom Kingdom scene from the classic Super Mario video game, make any game room, playroom or other smooth flat surface pop with this Retro Super Mario XL wall mural. 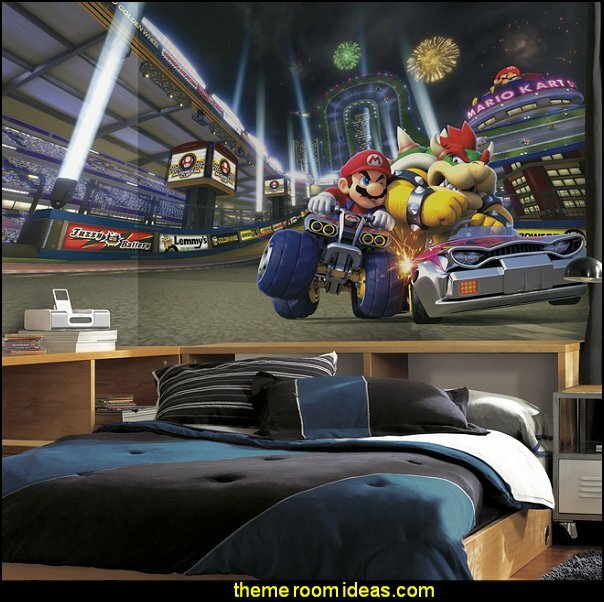 Accelerate your wall decor with this action-packed Mario Kart 8 Wallpaper Mural! 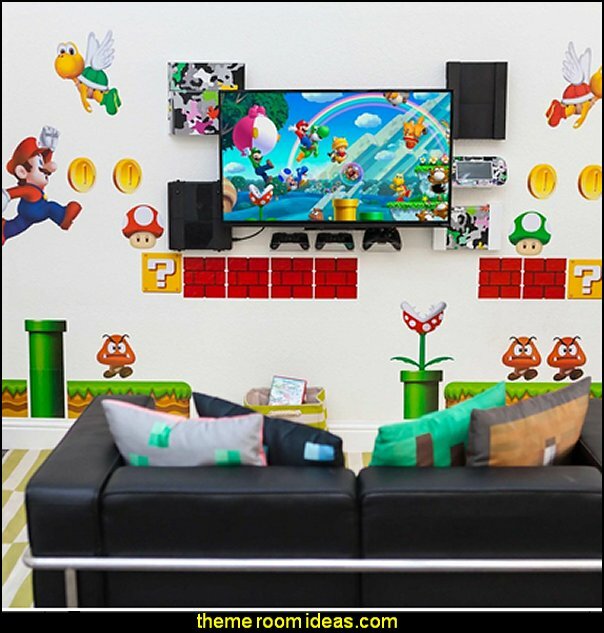 Depicting a live scene featuring Super Mario and Bowser competing for the win, this giant wall mural is any video game enthusiast dream come true. 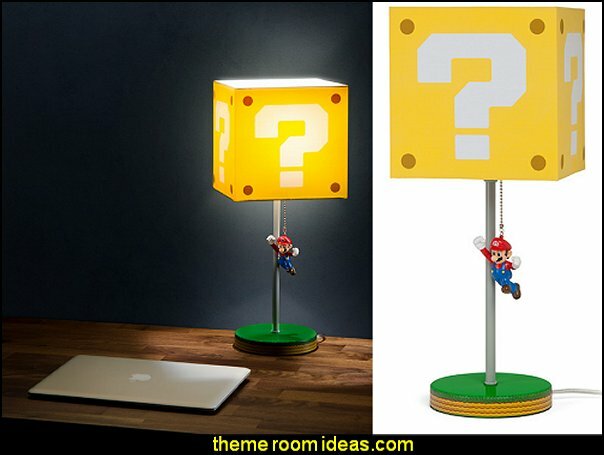 Guaranteed to give any Nintendo fan a rush of a lifetime, capture electrifying moments from the video game in your room with ease. 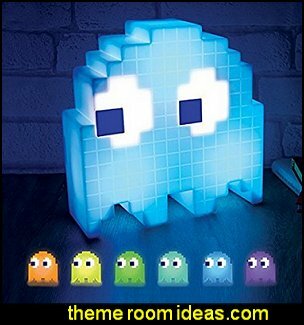 Pac-Man Lamp comes with a remote-controlled dimmer switch to bathe your room in the warm glow of an 80s arcade complete with iconic video game sound effects. 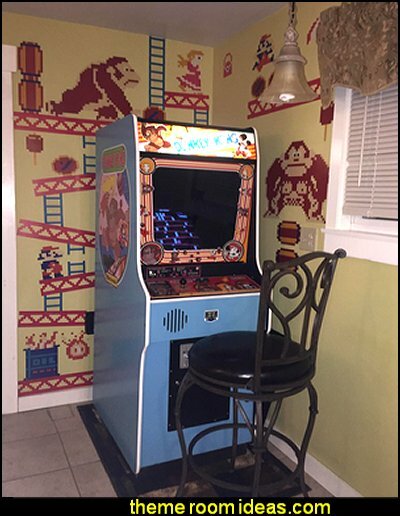 As any child of the 80s will tell you, the best tables have Pac-Man built-in. 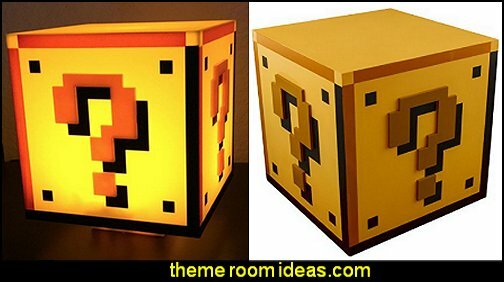 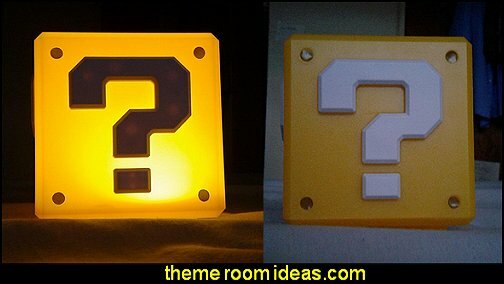 But if you can't find one, just pop a Pac-Man Lamp on the one you've got. 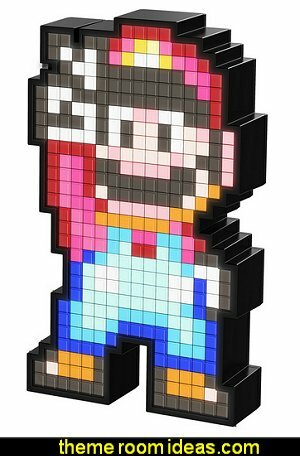 Adding a nostalgic glow to any game geeks home, this retro arcade light has a range of fun remote-controlled functions. 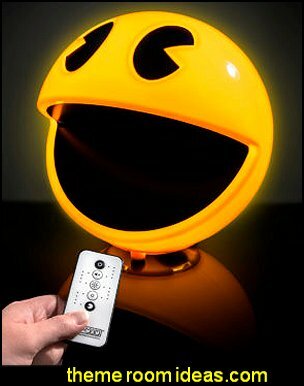 Treat the kids to a Pacman night light using the remotes handy dimmer button. 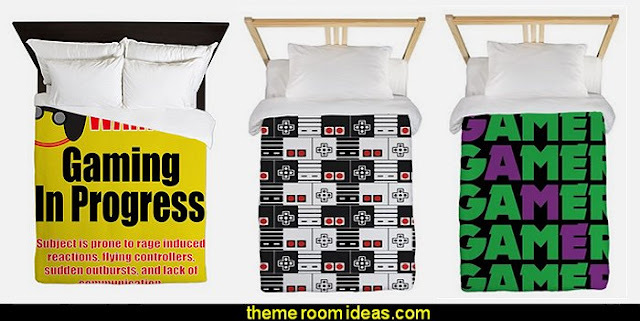 Or shake them out of bed to the raucous din of classic arcade sound effects. 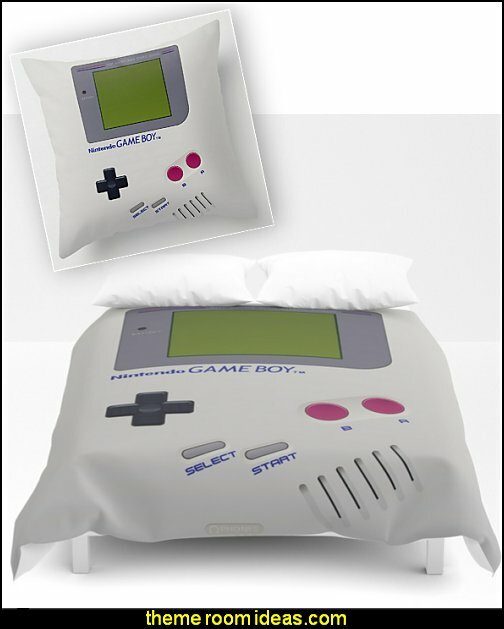 Waka-waka-wakey-wakey!. 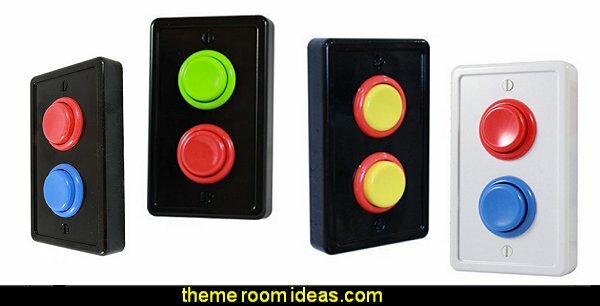 Slowly changes to 16 diffrent colours or You can switch it to party mode and the colors will change to the beat of any song! 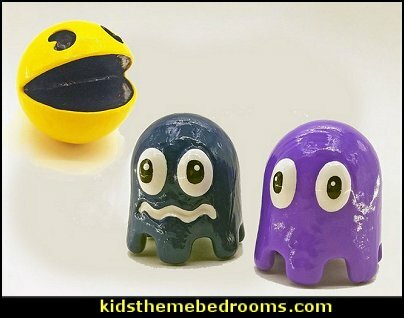 Pac-Man's come home doing his 'waka-waka' all over your bedroom cabinets as he chases the ghosts in his arcade adventure style. 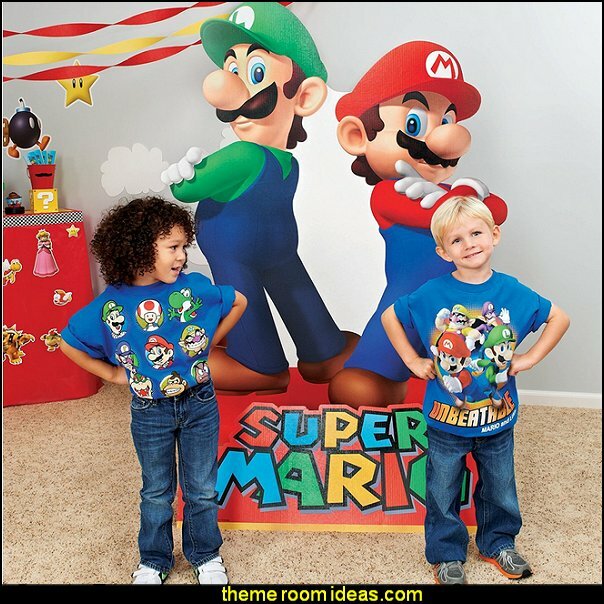 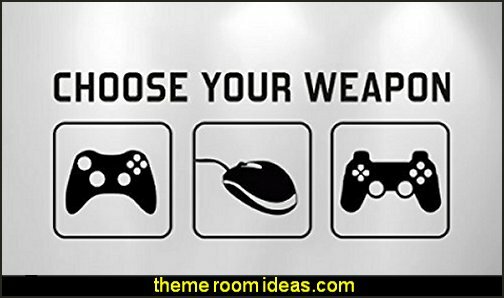 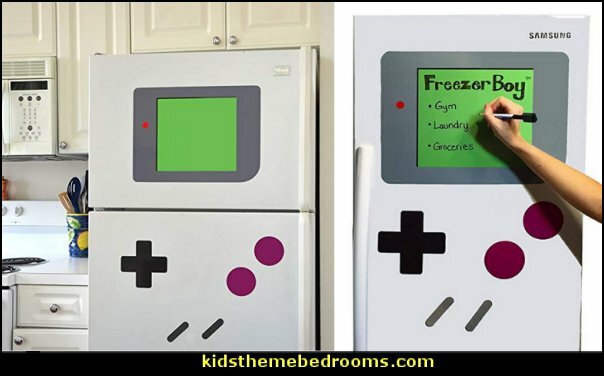 Add extra fun to your game room or kid's bedroom! 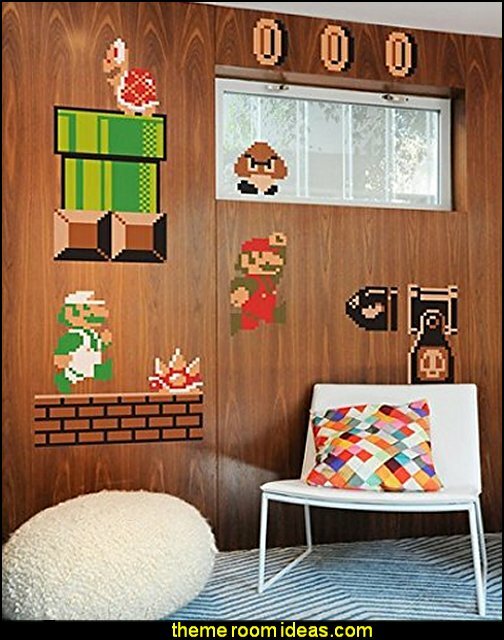 Inspired by classic arcade style games, these replacement faceplates will take any video game room, bedroom, or playroom to the next game level. 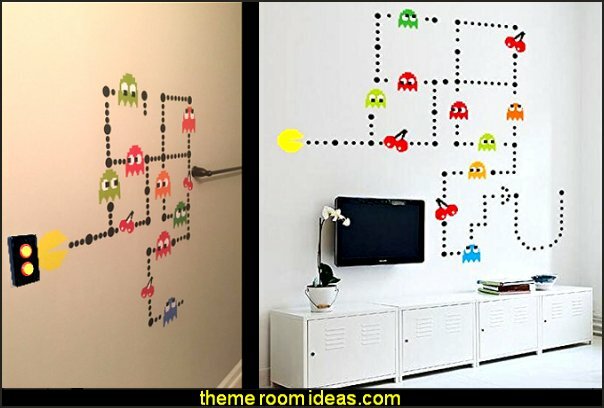 Enter the virtual universe of the famous PAC Man game –A classic from back in the day that’s become trendy once again. 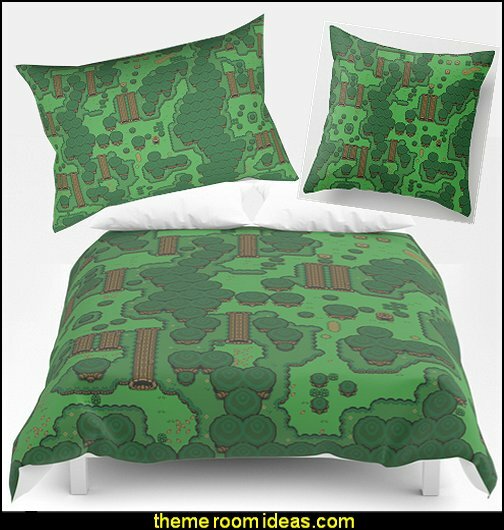 Real video game buffs will love this reversible bedding set. 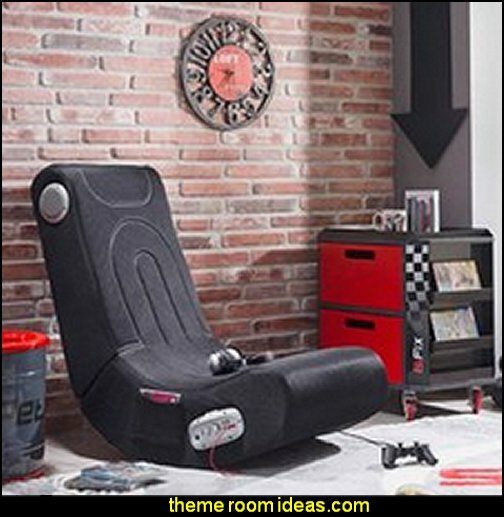 Kids both young and young at heart, can adapt the fun retro style to create a modern ambiance. 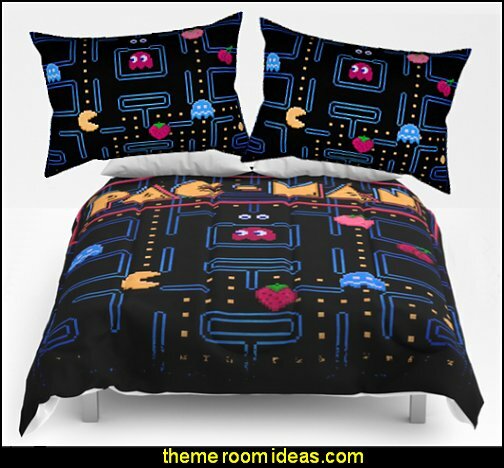 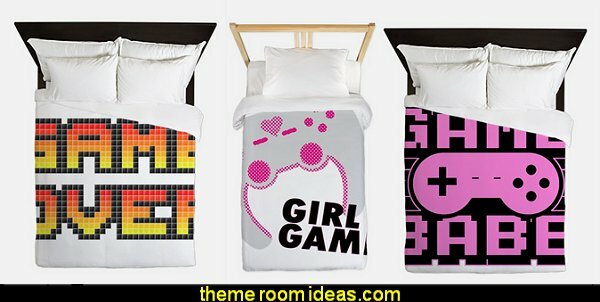 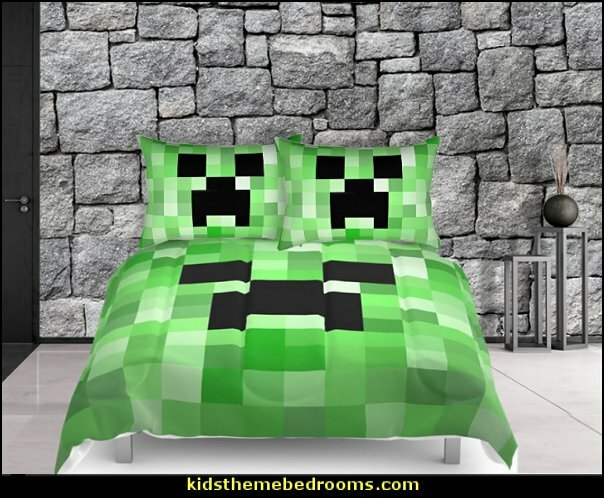 The reversible comforter gives them two choices: the printed maze scattered with ghosts and PAC-gums, or the solid black side featuring the colorful graphics of those old game consoles. This bedding set includes more than the reversible comforter: you also get two pillowcases and two themed pillows. 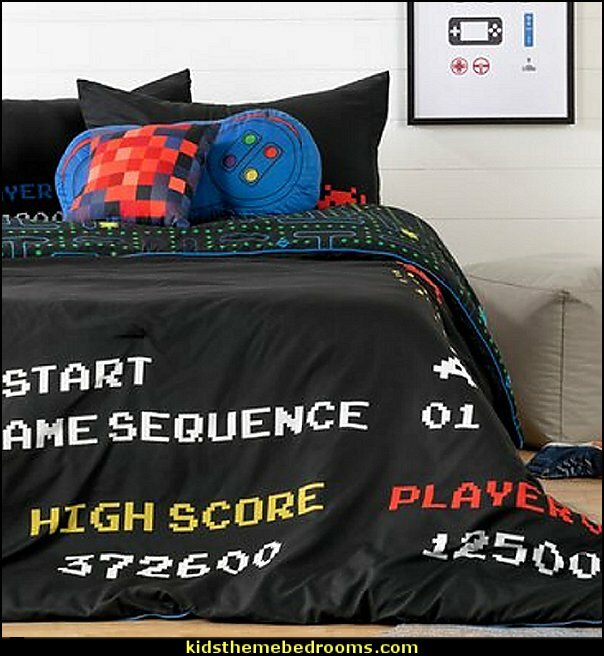 Coordinate the vintage blue video game joystick with the square pillow imprinted with a matching red pixelated ghost ..... and there you have it. 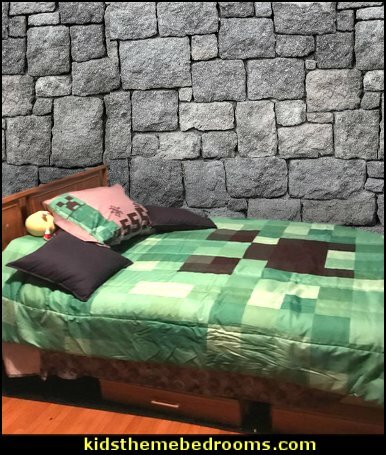 Let's go to a place where everything is made of blocks, where the only limit is your imagination. 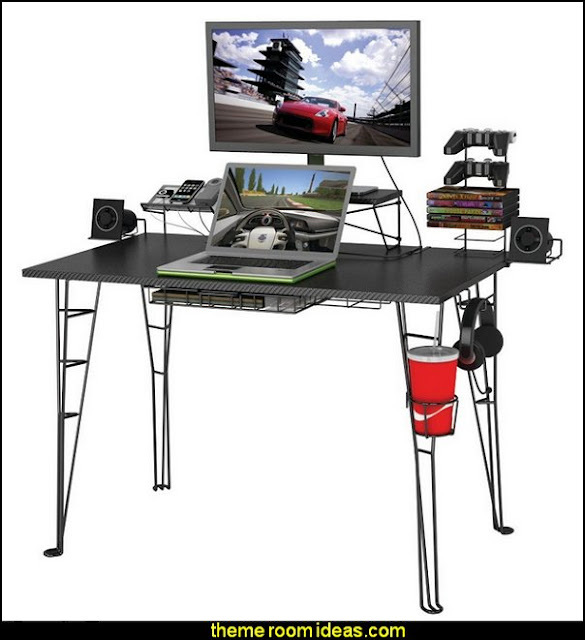 Let's go wherever you want to go. 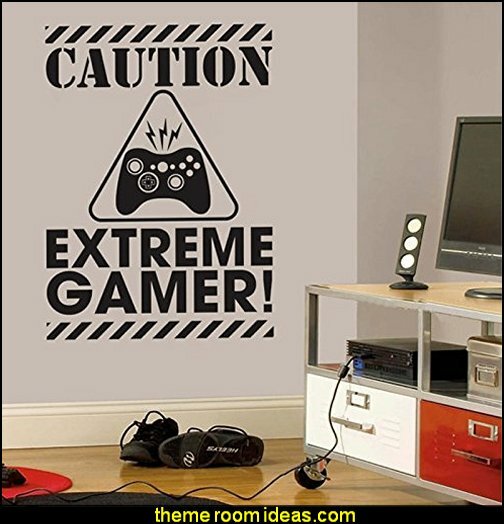 No one can tell you what you can or cannot do. 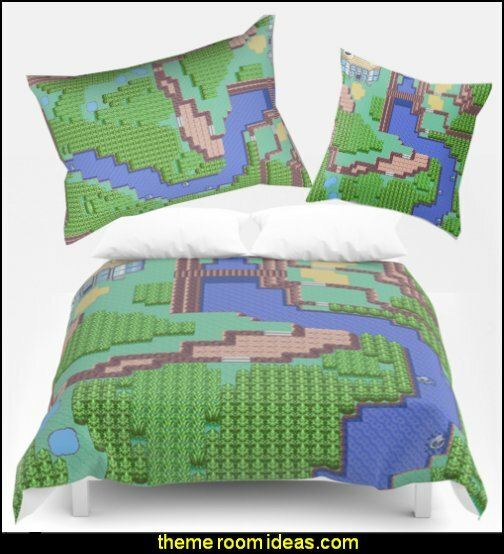 With no rules to follow, this adventure is up to you. 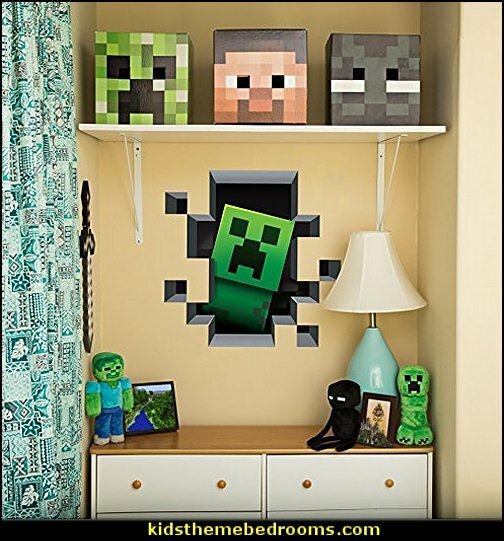 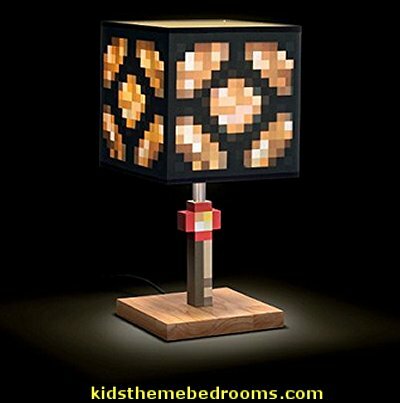 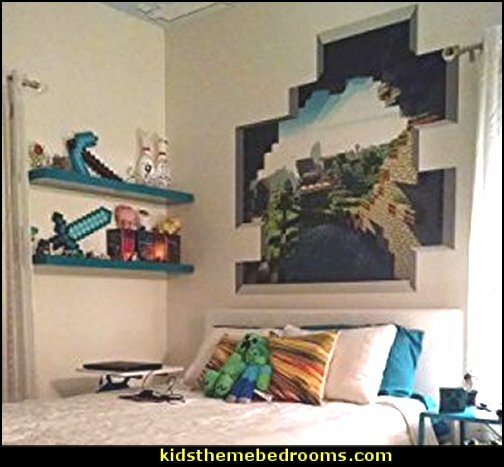 This moveable and reusable wall graphic features Mineshaft art from Minecraft video game. 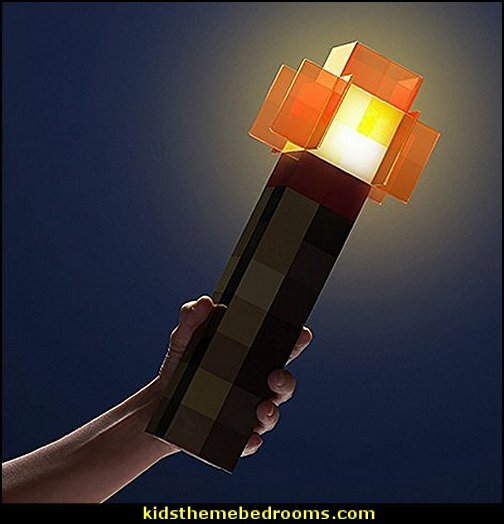 Keep hostile mobs at bay with this light-up torch. 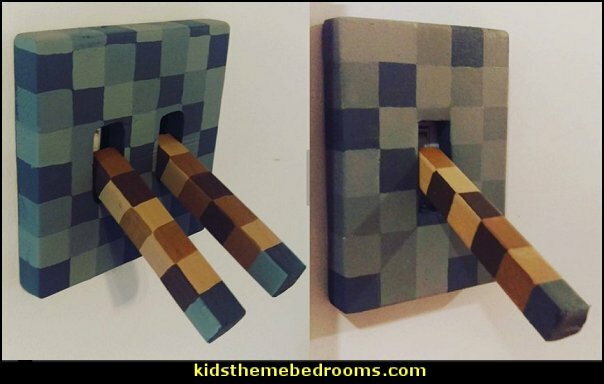 It stands upright on a flat surface and mounts at an angle on a wall. 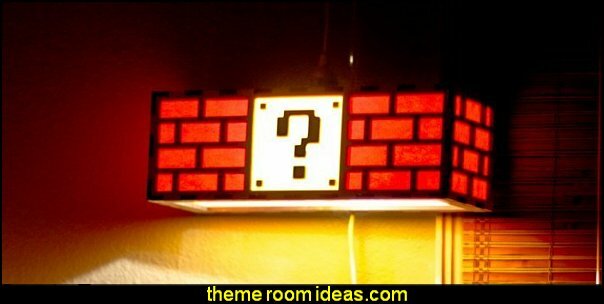 You may also carry it with you to light your adventures. Excellent book that does a fantastic job of investigating the psychology behind gameplay, game design, and sales tactics.